There’s nothing more frustrating than returning to your vehicle after a couple of hours at the shopping centre to find that it won’t start. It is often assumed that if your vehicle won’t start it is due to a dead battery and that a replacement will resolve the issue and have you back on the road.However, in some cases with Mercedes Benz vehicles, the battery may not be the issue that leaves you stranded at the shopping centre. Unfortunately, there is a known fault connected to the steering lock actuator of some Mercedes Benz vehicles. It is most common with Mercedes w204 C Class and E Class 207 vehicles and is therefore likely to occur with these models. What is a steering lock actuator? The steering lock actuator is part of your vehicle’s Smart Key System. It functions as a lock preventing the possibility of using the steering wheel. Therefore when it is activated, if someone attempts to break into your vehicle, if they start the car they won’t be able to steer it. One of the ways to tell that your ignition fail is not a battery-related issue is to examine your dashboard’s instrument cluster. If you can’t turn the ignition on and there’s no details being indicated on your dashboard, it’s more likely to be the fault of the steering lock actuator. Shlomi and the team at K&G Automotive believe in genuine customer care. That is why when your Mercedes comes into our workshop we will correctly diagnose the fault using the highly comprehensive Auto logic diagnostic tool, which specialises in Mercedes and some other European vehicles. We believe in complete customer assurance. This is why, only after we have spoken to the customer about the fault and they have approved our recommended repair, will we proceed with the work on their vehicle. We also believe, where possible, in repairing rather than replacing vehicle parts in order to keep the costs down for our customers. If you take your vehicle to a Mercedes Benz Dealership they will replace your steering lock actuator rather than repair it. 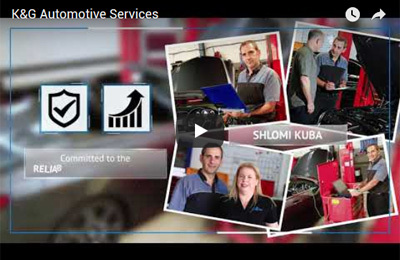 Shlomi and the team at K&G Automotive are known as fast, reliable and responsive European Car experts with unique automotive engineering capabilities. This is why, increasingly, Mercedes Benz owners choose to service or repair their vehicles at K&G Automotive: the award-winning independent European car service centre of choice for Mercedes, BMW, Audi, VW and Mini servicing and repairs in South Brisbane. mechanics to apprentices) to ensure they are up to date with the latest advances in Mercedes Specialist technology and Shlomi supervises all of the work in the workshop. Servicing all types of Mercedes vehicles - The team at K&G Automotive can reassuringly service all types of Mercedes vehicles. Award-winning owner Shlomi (Best Technician in Europe, 2002) worked as an automotive engineer for many years for Mercedes Benz dealerships in both Israel and Brisbane. In addition, K&G Automotive uses the highly comprehensive Auto logic diagnostic tool, which specialises in Mercedes and some other European vehicles. K&G Automotive is also registered with Autodata, the country’s leading supplier of technical information, which means they have access to all technical information required to repair your Mercedes or any other vehicle manufacturer. Talk directly to Shlomi, the owner of K&G Automotive - Shlomi’s philosophy has always been that the customer should be in complete control. This is why, at K&G Automotive, you can talk directly to Shlomi or a mechanic about your Mercedes Specialist service or repair for complete peace-of-mind. Call to get an honest, upfront price - Shlomi and his team at K&G Automotive will give you an honest price upfront to prevent any bill shock. When you call, they will talk you through your Mercedes Specialist service or repair before you decide to commit to any work. If additional work is required, one of the team will call you back first to discuss this. Exceptional customer service - Shlomi and the team at K&G Automotive pride themselves on delivering exceptional service to their customers. They will book your Mercedes service or repair in promptly and undertake the work timely so you can get back to your day. They will maintain direct contact with you and clean your car after every service too. Modern courtesy vehicles - K&G Automotive provides free modern courtesy vehicles to ensure you won’t feel inconvenienced without a vehicle for the duration of your service or repair. Award-winning European Car Service Centre - Due to their high-level automotive craftsmanship and international engineering experience, K&G Automotive were recognised as an outstanding industry leader by being awarded the acclaimed 2018 Business of the Year Award and the Car Sales and Service Award at the 2018 Logan Business Distinction Awards. Call Shlomi or his team at K & G Automotive on 07 3341 2008 or email them here to book in your Mercedes Specialist service or repair today.